For those about to rock…head to McAvoy’s on Memorial Day weekend. 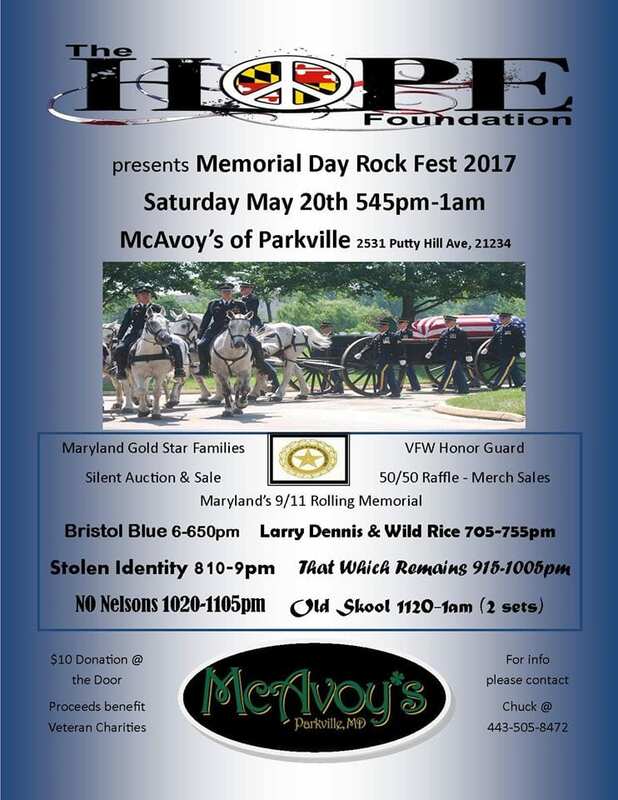 The popular Parkville hotspot will be hosting the second annual Memorial Day Rock Fest on Saturday, May 20, 2017 from 5:45 p.m. to 1 a.m., presented by The Hope & Peace Foundation. This amazing night of music will honor those who have made the ultimate sacrifice to ensure the freedom of American citizens. A $10 donation will be requested at the door. The event will also feature Gold Star Families, a silent auction, and 50/50 raffles. The proceeds will benefit our four chosen Veteran charities which will be announced during the show. 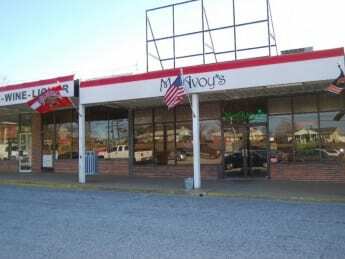 McAvoy’s is located at 2531 Putty Hill Avenue in Parkville.